I took a short trip out to Folsom Lake Monday morning. 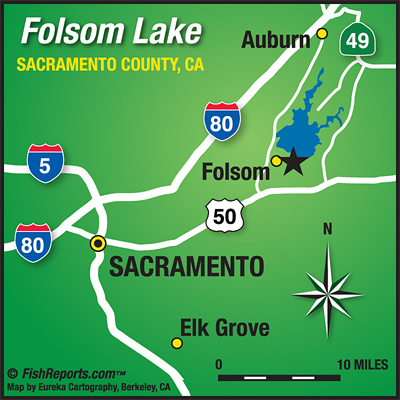 Launched out of Granite Bay and got on the water at 7:30am and fished until 11:30am. The 1st thing I did was check some off shore structure rock piles and a few island tops on the main body, searching for bait. Using my electronics I was able to mark some scattered fish but not enough to keep me there. The water temp on the main body was 60 and I was looking for a little bit cooler water so I decided to head up north. On my way north I stopped at a few creek channels and started to graph a lot more fish sitting on the main points in about 20-25 feet of water. I only had a few hours to fish so I decided to not waste any time and picked up the drop shot to see if I could get bit quickly. After about 10 minutes I managed to land 2 small spotted bass. Hoping for some bigger fish I decided to take out my heavylimits A Rig and put on some Molix RA Shad 3.8″. I used the 3.8″ for my jig heads and ran the 3″ for my teasers. I ran some bank in the creeks and was not getting bit. I noticed that I was still in 59-60 degree water so I went up the north to a island top that I knew would be in cooler water. Once I got to the island, I found what I was looking for. The water temp was 56-57 and the bait was everywhere. I was also marking a lot of bigger fish so I broke out the A Rig and casted over the top of the island. On my very first cast I got hammered by a smallmouth she hit that bait so hard it was like someone trying to rip my rod from my hand.. On the very next cast BOOM! 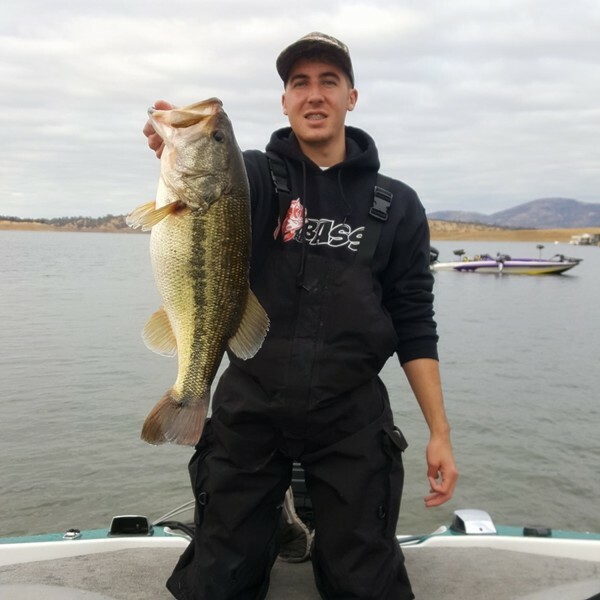 Another violent strike by a 3.5 lb spotted bass. This was what I came for. 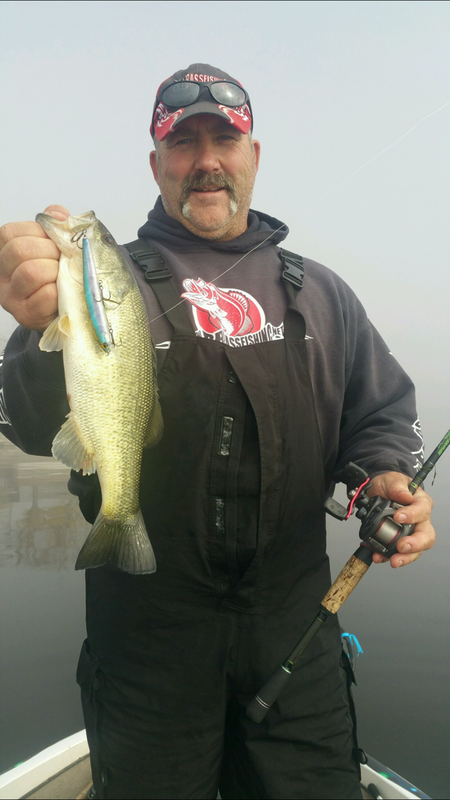 After a few more casts I was not getting bit so I put the A Rig down and decided to slow down with a single ball head and a Molix RA Shad 3.8″.. I believe that was the right choice because i was able to land 2 more decent fish a soon as I made the change. I decided to give the island a break and headed all the way up north past the 5mph Buoys. The water here was a lot colder at 53° and the water was dirty . Not what I wanted to see so I headed back towards the ramp and ended the day on the first island top I went to earlier. There were more fish on it this time in 25-30 feet. I managed to get 2 more drop shot fish then headed back in. For only a few hours of fishing i thought it was a pretty good day. I believe the bite is going to be pretty decent going into the winter.